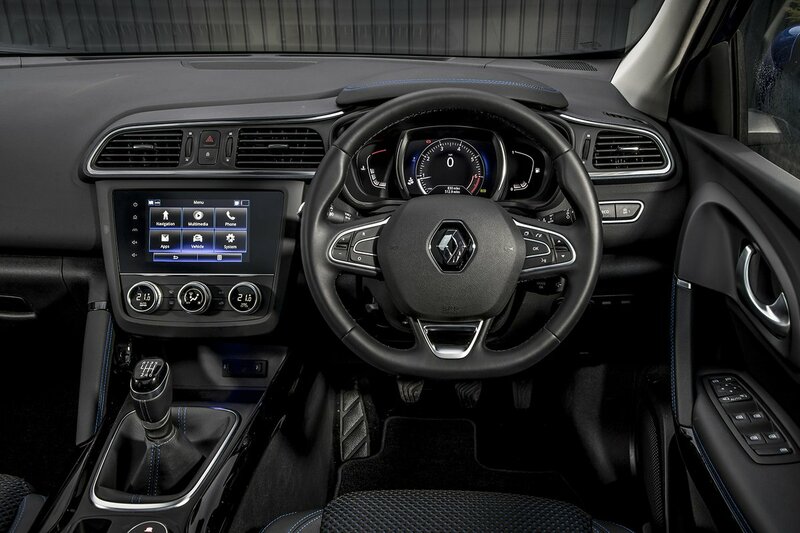 Renault Kadjar Interior, Sat Nav, Dashboard | What Car? The broad driver’s seat is fairly comfy, with height adjustment on every model and with Icon models and above adding variable lumbar support. 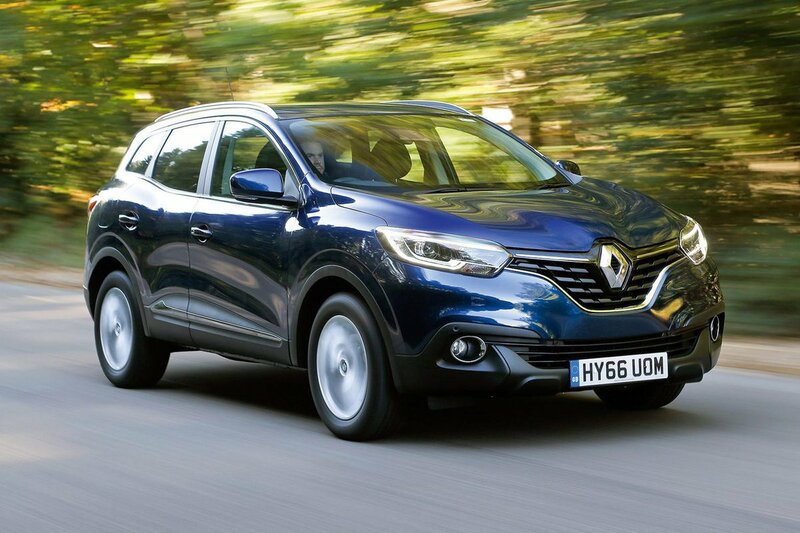 There's plenty of steering wheel adjustment to allow drivers of most shapes to get comfortable, and every Kadjar provides a cushioned centre armrest, too. The dashboard layout is easy to figure out, particularly the physical rotary controls for the air-conditioning, which are very user-friendly. The cruise control buttons are hidden down in the centre console, though, which is a bit confusing the first time you seek to use it. Thankfully, forward visibility is good for an SUV; the chunky door mirrors rarely obscure your view out of junctions, and the high-set driving position affords you a lofty view of the road ahead. Deep windows provide a good view to the side, but over-the-shoulder visibility isn't so impressive; the car’s swooping roofline and chunky rear pillars create a sizeable blindspot. It’s a shame, then, that blindspot monitoring is only fitted to range-topping GT Line trim. Fortunately, even entry-level Play models get rear parking sensors, which makes manoeuvring easy. But, if you’re a particularly nervous parker, you can step up to Iconic trim which comes with front and rear parking sensors, plus a reversing camera. Play trim comes with a 7.0in colour touchscreen, DAB radio and Bluetooth connectivity, Apple CarPlay and Android Auto smartphone integration as standard. We’d recommend upgrading to Iconic trim however, as it adds a TomTom live navigation system and a ‘3D sound’ speaker system. The latter does seem to have rather too much artificial-sounding reverb, though – the Bose advanced system on GT Line is a better choice for audiophiles. The touchscreen is relatively user-friendly, with most of the icons clearly defined and big enough on the display to hit precisely. However, it’s not as sharp as the screen on the Skoda Karoq's infotainment system, and can be tricky to use on the move due to the absence of any physical buttons. That said, it's easy to pair up your phone via Bluetooth and, with it plugged into the USB socket you’ll find behind the gearlever, searching through your music is a doddle. There are controls on the steering wheel for some of the infotainment functions, but they're not clearly labelled and require a little guesswork until you learn their layout. Renault isn’t known for its top-quality interiors, but the Kadjar’s actually looks pretty smart. The soft-touch dashboard is made from a dense, nicely textured material, most of the switches and buttons are well damped and the cabin generally feels well screwed together. It’s not quite a match for the Qashqai, however, which has better quality plastics in some areas. 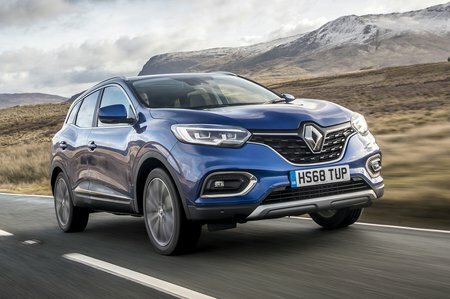 For example, the Kadjar’s infotainment fascia has quite a drab-looking matt finish, and the edges of some of the panels are a little rougher.